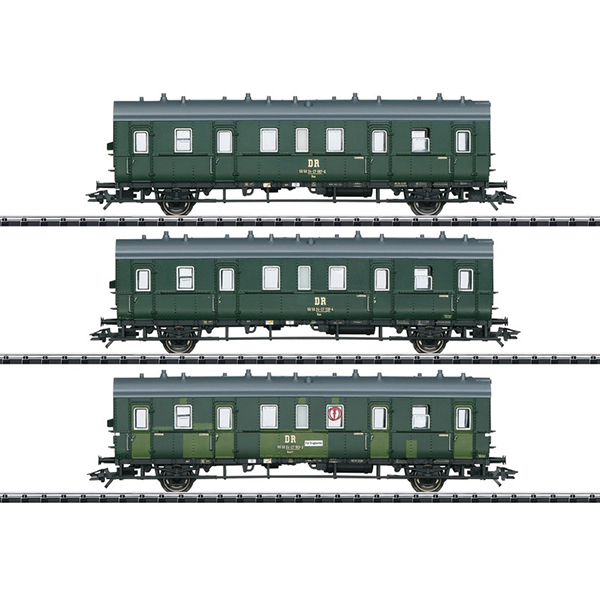 Prototype: Three East Germany German State Railroad (DR/GDR) compartment cars. Standard design in "Bottle Green". One (1) type Baatr car with a baggage area and two (2) type Baa cars. The cars look as they did around 1970. Model: All of the cars have different car numbers. Total length over the buffers approximately 47 cm / 18-1/2". AC wheelset E36667900. Trix Express wheelset E33339010. 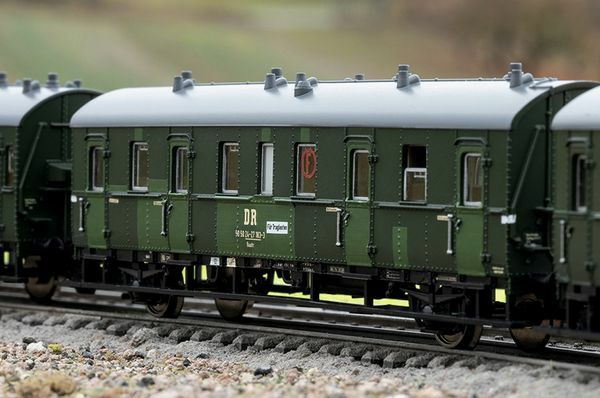 When combined with the class 64 (item number 22649) and the two individual cars (23305, baggage car with a roof cupola, and 23307, passenger car), the result is a beautiful, contemporary set.